Do you find it frustrating when your nail has a crack in it? If you’re like me, you worry that something will catch on it and your nail will rip off into the quick at any point. Painful! Step #1: Buff your nail using a nail file. 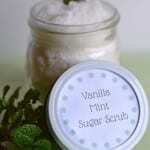 This removes any nail dust from your nails. 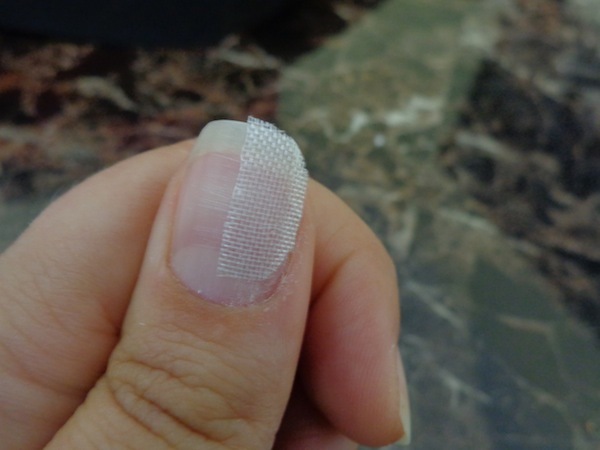 Step #3 – Place a piece of fiberglass on top of the cracked portion of your fingernail (the area that you buffed). I usually use a strip of fiberglass that is longer than my nail and trim it once it’s set in place. If possible, try not to finger the fiberglass too much – this will help keep your skin’s oils off of it. 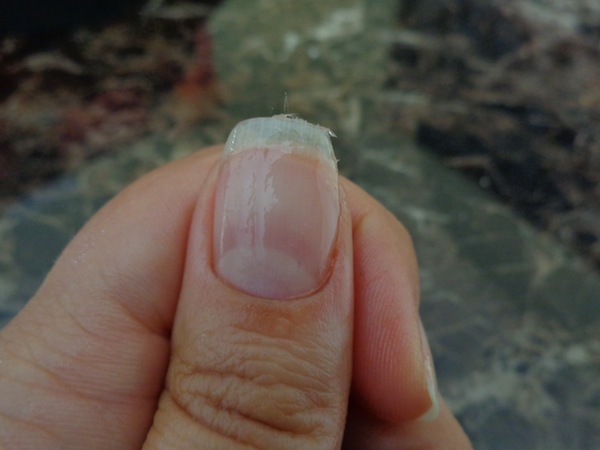 Step #4 – Apply a thin layer of nail glue. While you can use any nail glue, I recommend Backscratchers Stikr. I’ve found that the easiest way to thinly spread the glue is to use an extender tip placed on the top of your nail glue. 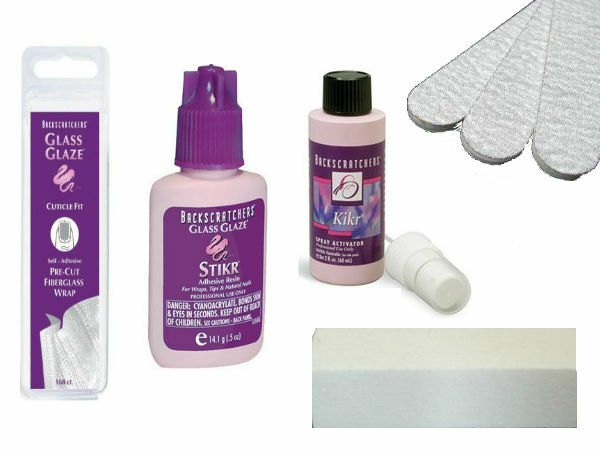 Do your best to make sure that you don’t get any nail glue on your skin/cuticle. If you do get nail glue on your skin, wipe it off as soon as possible or use an Orange Wood Stick to separate it from your skin. When you’re finished using your glue, you’ll want to “burp” the bottle so that it doesn’t clog. 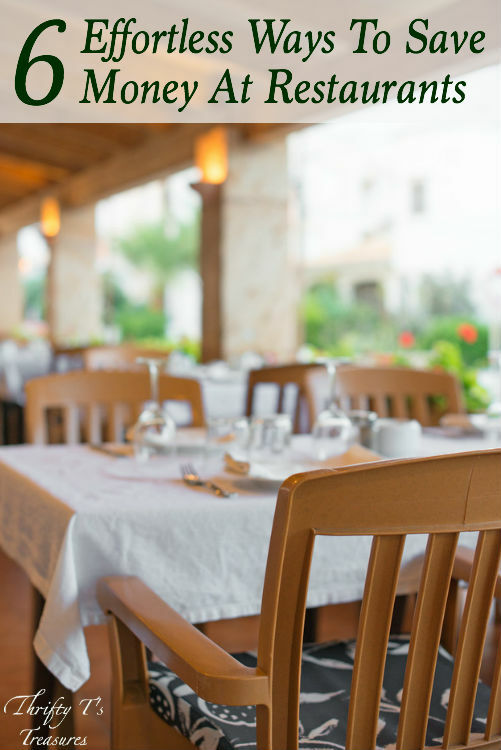 (I personally burp the bottle often – between steps #5 and #6.) To burp the bottle, simply squeeze the sides of the bottle (not the middle where the labels are) and the glue will back out of the top. 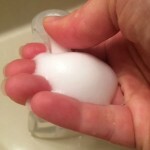 Step #5 – Spray with Kikr. Making sure that the glue is dry before proceeding is an important step. If you try to start buffing with wet glue you’ll smudge the fiberglass and may need to start over. Backscratchers Kikr is expensive but it’s definitely worth every penny because it saves you the time of having to wait for the glue to dry on its own. Kikr has magical ingredients that dry the glue within a few seconds. Step #6 – Repeat steps #4 and #5 two more times. 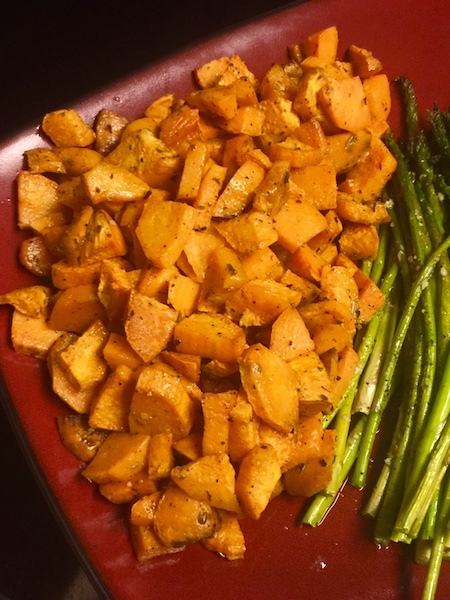 Step #7 – Lightly buff with a block buffer. Using a block buffer, lightly buff the repaired area and remove any shine. Run your finger over the repaired area to make sure it is smooth. Over-buffing can cause you to buff through the glue and into the fiberglass. This removes the translucency of the fiberglass and gives it a grainy appearance. Once you buff, if the repaired area is not smooth (or you find any dents/dings) simply spray with rubbing alcohol, let dry, place a tiny bit of glue over that area and re-buff. 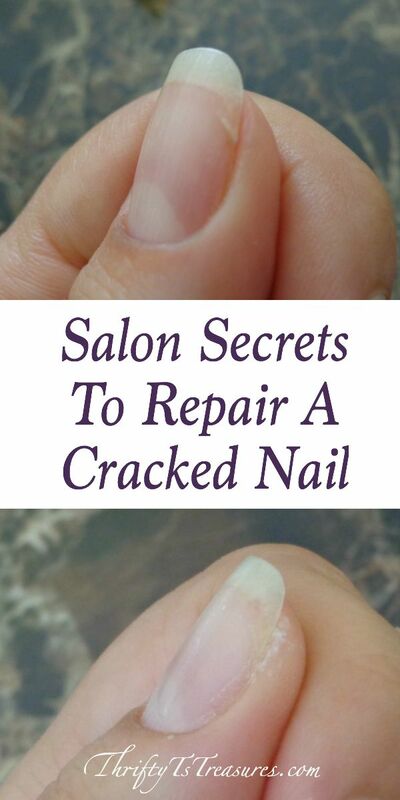 And there you have it, my salon secrets to repair a cracked nail! Feel free to polish your nails just as you normally would! 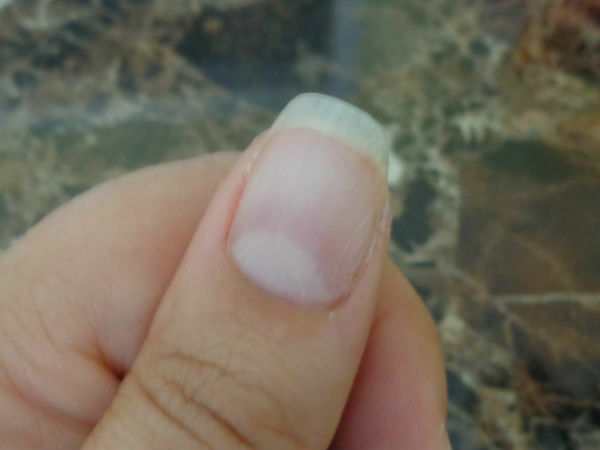 Maintenance Tip: The fiberglass will grow along with your nail. 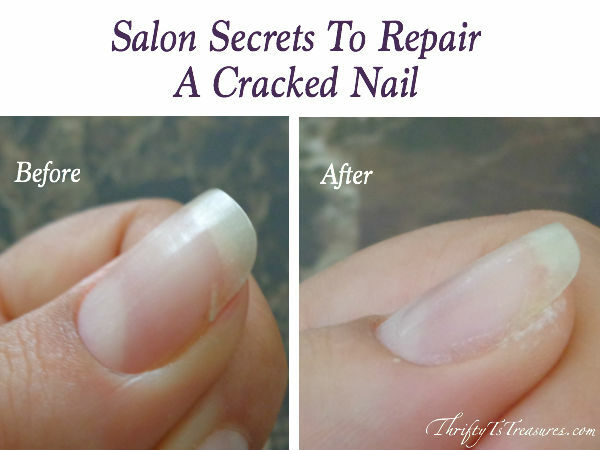 One week after you’ve repaired your crack, you’ll want to look at the repaired area and make sure that the fiberglass is not lifting from your nail bed. 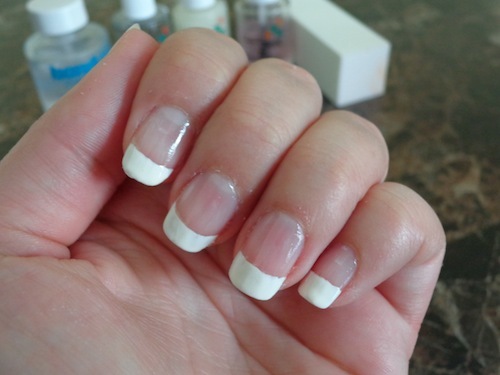 If you see any lifting, simply apply a thin layer of nail glue to the area to seal it, spray with Kikr and lightly buff. If you don’t see any lifting, you can either lightly buff the area using your buffer block or do nothing. 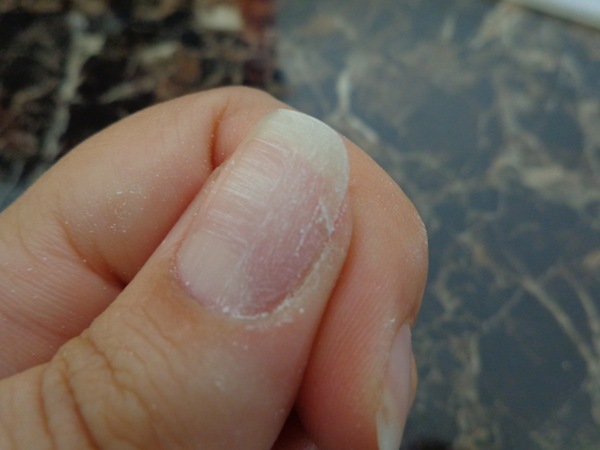 Continue checking the repaired area each week until the fiberglass has grown off of your nail. 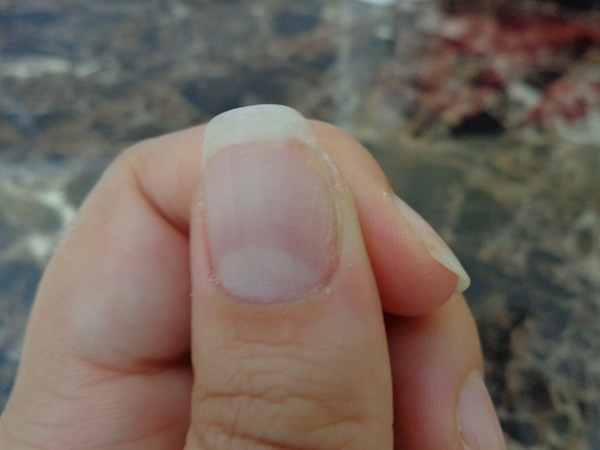 What are your tips and tricks for repairing a cracked nail?